The 2016 BIC Sport Techno and Nova rigs have been seriously re-cut and updated, to deliver even easier handling, even more versatility, and improved overall performance. 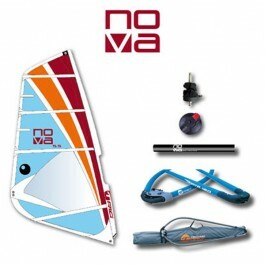 The Nova rig is ideal for leisure sailing on flat water. Its aims : simplicity, light weight and strength, a perfect fit with our existing Nova range. It allows you to learn the basics, then improve your skill level effortlessly and without having to worry about having the right equipment. 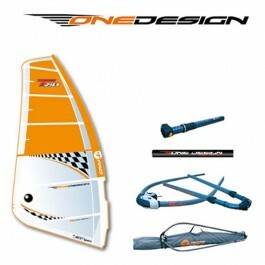 option for all your total freeride sailing. Learning has never been so easy!! 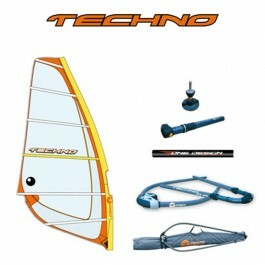 Ideal for either our Techno or Core boards, the Techno is a pure freeride rig, both easy to use and lightweight, a rig that really performs in light to moderate winds. Its modern design gives it a wide wind range despite the absence of cambers. 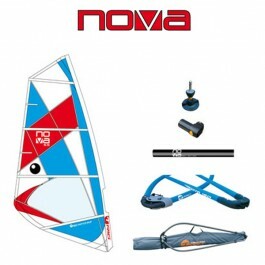 With plenty of sail area down low, it’s got plenty of power to get you up and planing easily, with a smooth and steady pull allowing you to get into the harness and footstraps comfortably. With no cams it is easy to manoeuvre during gybes, tacks, and tricks. 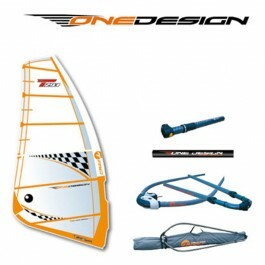 With its soft response it is a rig that is easy to control and simply fun to ride. The Techno comes with a quality mast and wishbone and is excellent value for money.It’s ideal for all our freeride boards and for making your runs.